It today’s tech-driven world, movie makers have found a new medium to market blockbusters – mobile gaming. For the past few years, Hollywood has been readily embracing the new fad of creating official games based on popular titles in an attempt to lure in even more fans. 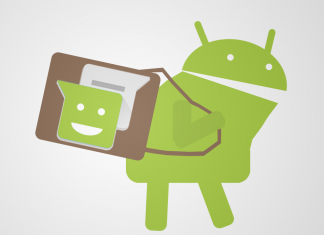 The Android platform has certainly seen its fair share of movie tie-ins and in this article, we’ve made a selection of top Android games that have been inspired by movies. And if you’re a fan of the Fantasy/Sci-Fi genres, you’re certainly going to love this list. 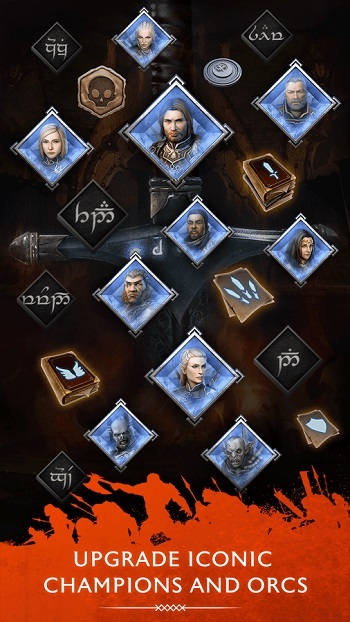 Inspired by The Lord of the Rings universe and keeping the Tolkien essence intact, Middle-earth: Shadow of War is a free-to-play real-time RPG in which you play Talion (the same character from the previous Shadow of Mordor) – a courageous warrior who hopes to defeat the the evil hordes of Sauron. Talion sets out to gather an army and soon recruits iconic characters such as Gimli, Arwen or Boromir. What’s more, fan-favorite Uruk Ratbag from the Shadow of War makes a welcome comeback in this new chapter, to the delight of many players. 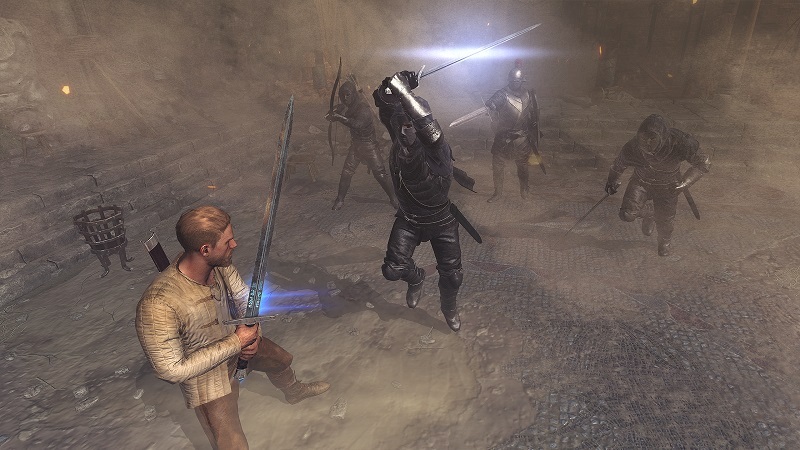 Combat scenes are very number-heavy, but appear to contain some gameplay mechanics borrowed from the console and PC games, and that’s very good news for mobile players. Mobile spinoffs haven’t had a great reputation among hard-core gamers, as they often feel watered-down knockoffs of the console experience, however, Shadow of War is definitely worth a try. If anything, you’ll appreciate the graphics. The story in the Hobbit takes place 60 years before The Lord of the Rings adventure and stars beloved characters such as Gandalf, Bilbo, Legolas, and Thorin. 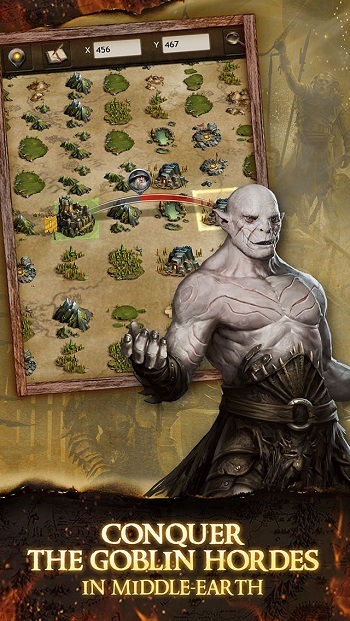 These heroes have made it into the mobile game as well and they will need your help to succeed in their quest of driving Goblin hordes out of Middle-Earth. So, join thousands of players worldwide, to forge diplomatic alliances, train vast armies, conquer enemies and upgrade buildings and weapons to strengthen your position. 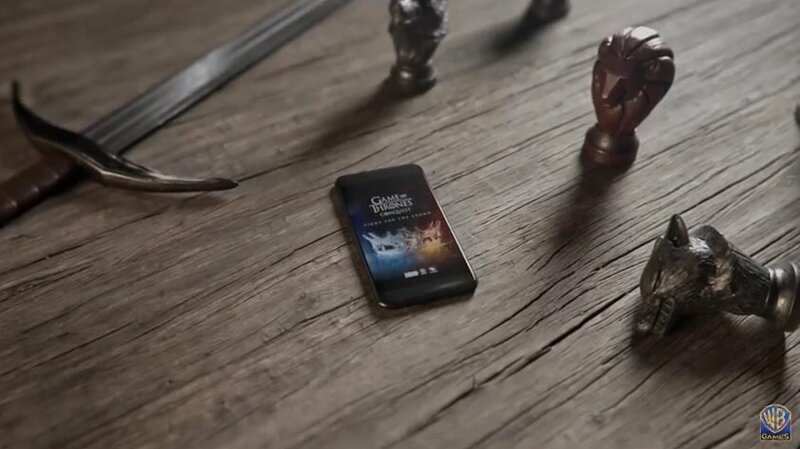 Use your mobile to enter the magnificent world of Game of Thrones where houses clash, dragons rule the sky and the army of the dread threatens to wipe the existence of all living beings. The Android game lets you build your house, raise your army and define your political strategy. 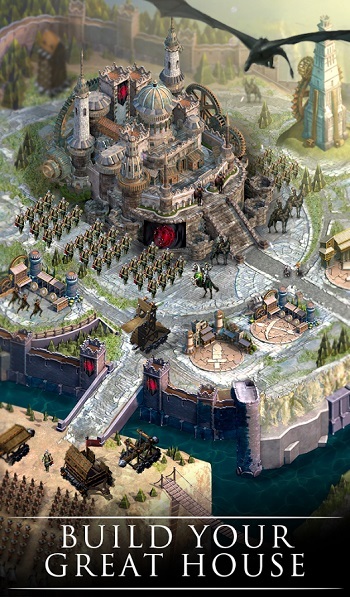 Become Lord of Westeros, but don’t forget that winter is here and your enemy’s army will not wait to clash swords. The legend of King Arthur is one of the most powerful and fascinating stories of all times. It has been told and re-told in many forms in books, songs, movies and now there’s even an official mobile game you can play. Based on King Arthur: Legend of the Sword, the game has you playing as King Arthur, a novice ruler who gradually learns how harness the power of his mighty sword Excalibur in an attempt to hold off Vortigern’s assault. Fight to the death to save your kingdom and gain glory! Enjoyed Rogue One: A Star Wars Story? 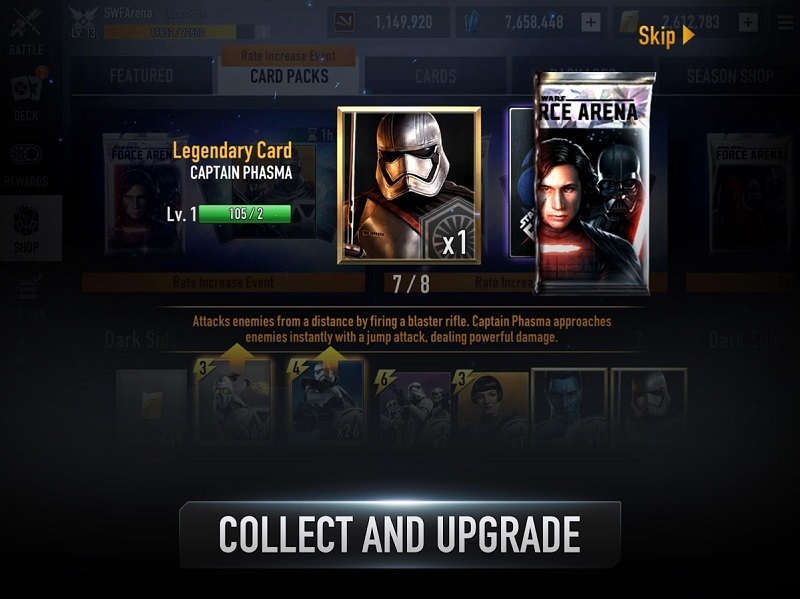 Then you’ll probably love playing Star Wars: Force Arena. This is a game brimming of potential that blends popular mobile gaming trends like collectible cards, tower defense, and mobile online battle arena (MOBA) into an addictive strategy game. Star Wars: Force Arena really brings out the “war” aspect of Star Wars. But before heading off into battle, players will have to build their first battle deck around a Legendary card – heroes from the original Star Wars trilogy and new characters from Rogue One are available for you to choose from. Fighting up through PvP ranks unlocks more cards and makes the strategy even more complex, while the flow of constant missions ensures there’s always a goal you need to work towards. 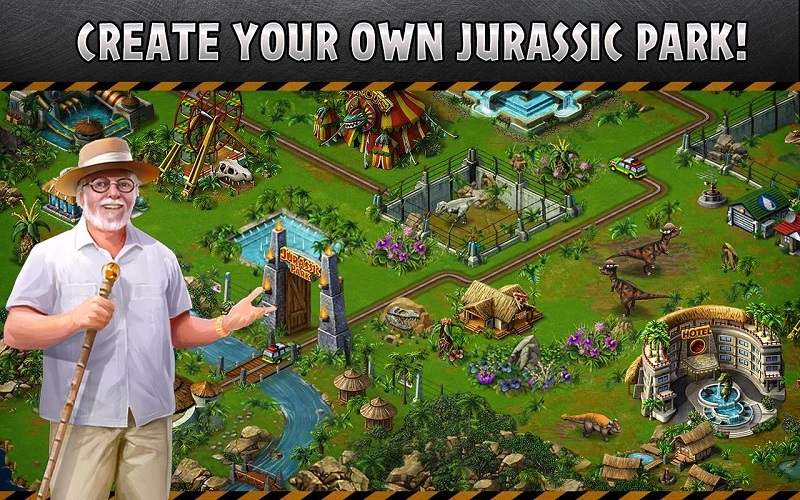 Based on the popular film franchise, Jurassic Park, the Android game is quite reminiscent of Theme Park – you know the classic strategy game in which you were tasked to build your own amusement park. Jurassic Park gives you a similar mission: build a dinosaur park. So get busy acquiring new dino species in the park, feeding them and developing tourist activities and attractions, to keep the park going strong. 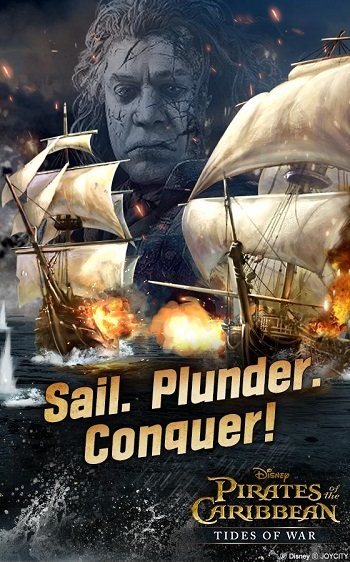 Pirates of Caribbean movies have been extremely popular across the globe and now you can step in Jack Sparrow’s boots and command your very own pirate ship as you plunder the sea in order to become the one and only pirate captain of the Caribbean. All from your mobile phone. Team up with beloved characters like Jack Sparrow, Will Turner or Captain Barbossa and experience new and exciting sea adventures along side them.